TV BANTER . 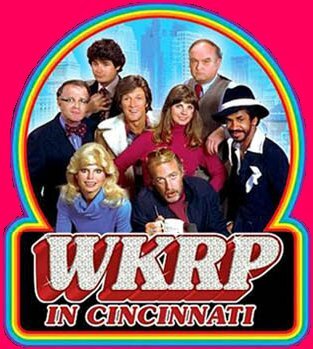 . . with Joanne Madden: Whatever happened to the cast of WKRP in Cincinnati? Whatever happened to the cast of WKRP in Cincinnati? WKRP in Cincinnati was an American situation comedy that aired on the CBS television network from 1978 to 1982. The show chronicled all the mishaps and misfortunes of the staff of a fictional radio station in Cincinnati, Ohio. 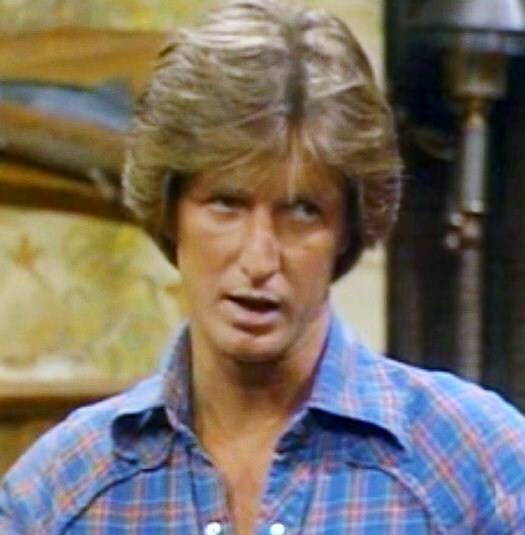 WKRP had been in financial difficulty for years, prompting its new program director,, Andy Travis (Gary Sandy), to transform it from a an easy listening station to a Top 40 rock 'n' roll station. The series was created by the late Hugh Wilson (1943-2018) and was based on his experiences as an advertising salesperson at Top 40 radio station WQXI in Atlanta, Georgia. The show premiered on Septmeber 18, 1978. It ended its run on April 21, 1982 after four seasons and 88 episodes. During its four-year run, WKRP in Cincinnati had a strong following among younger viewers and disc jockeys. 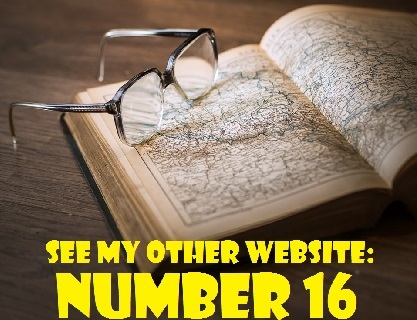 It has remained popular in syndication around the world. - Gary Sandy was born on December 25, 1945 in Dayton, Ohio, USA. Gary played program director Andy Travis on WKRP in Cincinnati After the show went off he air, he appeared in episodes of such TV series as L.A. Law (1989), Murder, She Wrote (1985 and 1989), F.B.I: The Untold Stories (1991), The Young Riders (1992), Diagnosis Murder (1999). Sabrina, the Teenage Witch (1999) and Martial Law (2000). In 2001, Gary played Terrence Kelly on the daytime soap The Young and the Restless. He also played the role of Dr, Douglas "Doc" Hamilton in the 2004 TV movie A Place Called Home, the story of a Southern Belle (played by Ann-Margaret), who is living her later years in a huge, crumbling country estate. In recent years,he has been winning awards for live radio dramas and appearing in theatrical productions. Gary was married to actress Laura Soltis from 1989 to 1995. Laura is best know for the films Black Sash (2003), Hiccups (2010) and Step Up All In (2014). - Gordon Jump was born on April 1, 1932 in Dayton, Ohio, USA, He died on September 22, 2003 at the age of 71, Gordon portrayed station manager Arthur "Big Guy" Carlson on WKRP in Cincinnati He also played the inept "Chief of Police Tinkler" in the sitcom Soap. In 1989, he took over the role of the "Maytag Man" in commercials for Maytag appliances. In the 1990s, he starred in a short-lived revival of WKRP, entitled The New WKRP in Cincinnati. In the final season of Seinfeld, he portrayed George Costanza's boss at a playground equipment company in two episodes of the series. Gordon was married three times and divorced twice. His first marriage (1954 to 1962) was to Olinda Dorothea Mathilda Kandt. His second marriage was to Anna F. Inge (1963 to 1992) and they had one child. On December 15, 1993, he wed for the third time, to Betty Sue McKeever. They had one child and the marriage lasted until his death in 2003. - Howard Hesseman was born in Lebanon, Oregon, USA on February 27, 1940. He portrayed disc jockey Johnny "Dr" Fever on WKRP in Cincinnati. He went on to play Captain Pete Lassard in the 1985 comedy film Police Academy 2: Their First Assignment. From 1986 to 1990, he played high school teacher Charlie Moore on the American TV sitcom Head of the Class. He also portrayed Sam Royer, the man who married Ann Romano (Bonnie Franklin) on One Day at a Time. Howard was married to Catherine Maison from 1965 to 1974. The union ended in divorce and he has been married to French-born actress Caroline Ducrocq since July 22, 1989. - Loni Kaye Anderson was born in St. Paul, Minnesota on August 5, 1946. She played receptionist Jennifer Marlowe on WKRP in Cincinnati. Her role on WKRP earned her three Golden Globe Award nominations and two Emmy Award nominations. During the 1980 summer hiatus, Loni walked out of the sitcom due to a salary dispute. While she was re-negotiating her contract, Loni starred as Jayne Mansfield in the CBS made-for-television movie The Jayne Mansfield Story. Her co-star was Arnold Schwarzenegger, who played Jayne's husband, bodybuilder Mickey Hargitay. The film aired on October 29, 1980. After the salary dispute was resolved, Loni returned to WKPR in Cincinnati and remained with the series until its cancellation in 1982. In the 1984-85 television season,, she starred with "Wonder Woman" Lynda Carter in the NBC crime drama Partners in Crime. The series was cancelled after only 13 episodes. From the mid-to-late 1980, Loni's acting career waned. She appeared in television versions of Hollywood film classics such as Letter to Three Wives (1985), with Michele Lee and Sorry, Wrong Number (1989), alongside Patrick Macnee and Hal Holbrook and Coins in the Fountain (an update of the 1954 film Three Coins in the Fountain). However, she received favourable reviews for her performance as comic actress Thelma Todd in the 1991 TV movie White Hot: The Mysterious Murder of Thelma Todd. In 1991, she also reprised her role as Jennefer Marlowe in two episodes of The New WKPR in Cincinnati. In 1993, Loni joined the cast of the NBC sitcom Nurses, which was in its third season. She portrayed hospital administrator Casey MacAffee. However, the show, which was suffering from low ratings, was cancelled soon after Loni's arrival. During the 1990s, Loni made guest appearances on such shows as Burke's Law (1994) Sabrina, the Teenage Witch (1997) Clueless (1998) and V.I.P. (1999). She also played the role of Teri Carson in three 1996 episodes of Melrose Place. From 2003 to 2004, Loni starred as as Mandi Mullet-Heidecker in 13 episodes of the short-lived series The Mullets. In 2006, she played Kiki Spelling in eight episodes of So Notorious, a parody of the life of Tori Spelling. Since 2016, she has starred as Frances in the Internet series My Sister is Gay, about a middle-aged gay man whose sister, Amanda (Wendy Michaels) is having difficulty dealing with her brother's homosexuality. Loni plays their vampy mother. 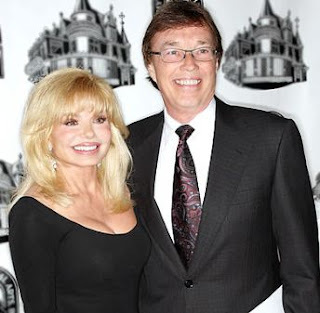 Loni Anderson has been married four times and divorced three times. Her first marriage was to Bruce Hasselberg (1964 to 1966). Her second marriage was to Ross Bicknell (1973 to 1981). From 1988 to 1993, she was married to actor Burt Reynolds. Reynolds was her third husband. The two starred in the comedy film Stoker Ace (1983), which was a critical and box office flop. On May 17, 2008, Loni wed her current husband, singer Bob Flick, a founding member of the 1960s folk group The Brothers Four. Loni has two children, a daughter, Deidre Hoffman, from her marriage to Bruce Hasselberg. She also has a son, Quinton Anderson Reynolds (born August 31,1988, whom she adopted with Burt Reynolds. Deidre was diagnosed with multiple sclerosis in 2009. - Tim Reid was born in Norfolk, Virginia, USA on December 19, 1944. 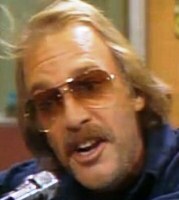 Tim played the role of hip radio disc jockey Venus Flytrap on WKRP in Cincinnati. 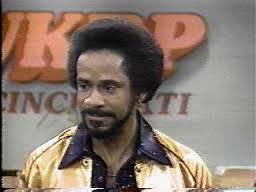 From 1983 to 1987, he portrayed Marcel "Uptown" Brown on Simon & Simon. He also appeared as Ray Campbell on Sister, Sister from 1994 to 1999 and William Bennett on That '70s Show. During the 1987-1988 television season, Reid starred in a short-lived comedy-drama series called Frank's Place. The show is set in New Orleans and chronicles the life of Frank Parrish (Tim Reid), an affluent African-American professor at Brown University in Rhode Island, who inherits a small Creole restaurant in New Orleans. Frank's Place was created by Hugh Wilson. Wilson and Reid were the show's executive producers. CBS changed the time slot of the series many times and it failed to find a larger audience. It was cancelled after one season. Tim Reid.has been married twice. He married Rita Ann Sykes in 1966. They had two children, Timothy Jr. (born 1968) and Toni Reid (born 1971). However, the marriage did not last and they divorced in 1980. On December 4, 1982, Tim married actress Daphne Maxwell, who played Vivian Banks on the NBC comedy The Fresh Prince of Bel-Air. She and Tim owned and operated New Millennium Studios in Petersburg, Virginia, one of the largest independent film studios outside of Hollywood, until 2014. - Jan Smithers was born in North Hollywood, Los Angeles, California on July 3, 1949. She played news broadcaster Bailey Quarters. According to Michael B. Kessel, author of America's Favorite Radio Station: WKRP in Cincinnati, the character of Baiiley Qurarters was based on Charters Smith, the wife of the show's creator, Hugh Wilson. Jan Smithers has been married and divorced twice. Her first husband was Kip Whitman, to whom she was married from 1971 to 1972. Her second husband was actor James Brolin. to whom she was married from 1986 to 1995. Jan was stepmother to Brolin's sons from a previous marriage and she and Brolin have a daughter named Molly. - Richard Sanders was born on August 23, 1940 in Harrisburg, Pennsylvania, USA. 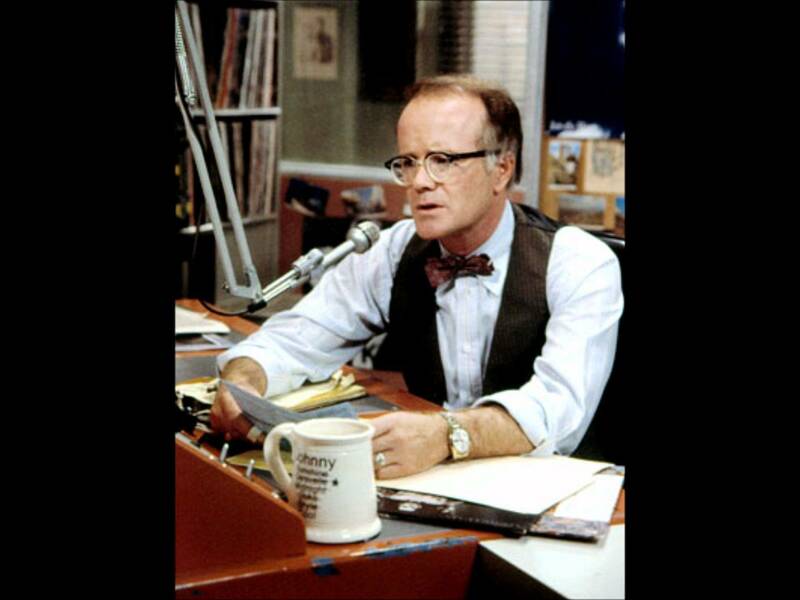 He played WKRP's quirky, pompous news director, Les Nessman, on WKRP in Cincinnati. He is an actor and screenwriter. In the early 1990s, Sanders reprised his role as Les Nessman and joined WKRP in Cincinnati castmates Gordon Jump and Frank Bonner in The New WKRP in Cincinnati. After the original series ended in 1982, he guest-starred on numerous television series including Gloria (1982), It Takes Two (1983), Alice (1983), Goodnight, Beantown (1983), Simon & Simon (1984), Newhart (1984), Who's the Boss? (1985), Married . . . with Children (1987), Night Court (1989), Growing Pains (1986 and 1989), Charles in Charge (1990). Coach (1990), Designing Women (1990), Unhappily Ever After (1997), The Fugitive (2001). He also played Mr. Stanton in the 2002 TV mini-series Rose Red. a mystery thriller about a group of people with psychic powers who are invited to spend a night in a haunted house. Richard is Sanders is married to television script supervisor Marilynn Marko Sanders. - Frank Bonner was born on February 28, 1942 in Little Rock Arkansas, USA. 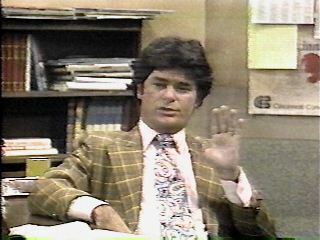 He played sales manager Herb Tarlek on WKRP in Cincinnati. After WKRP, Frank played the role of Henry "Buck" O'Connell in three 1985 episodes of the popular adventure series Scarecrow and Mrs. King, starring Kate Jackson and Bruce Boxleitner. He aappeared in two episodes of Night Court, one in 1985 and the other in 1986. He also guest-starred on Punky Brewster (1986) and Murder, She Wrote (1986). 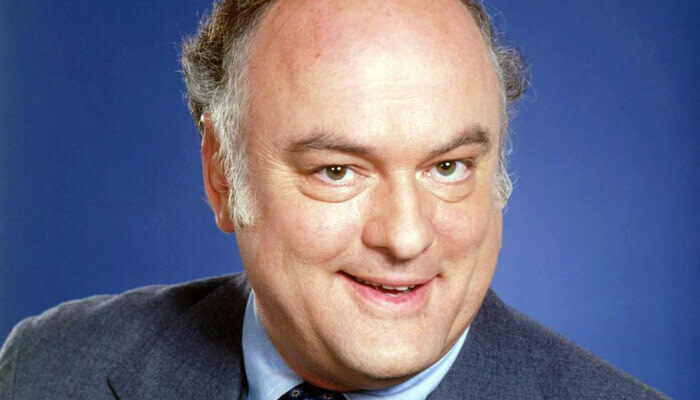 From 1988 until 1990, Frank had a recurring role as Father Robert Hargis in 22 episodes of the family comedy Just the Ten of Us. From 1991 to 1993, he reprised his role as Herb Tariek in The New WKRP in Cincinnati. He appeared as Ed Harrington in four of episodes of Saved by the Bell: The New Class and as Mr. Spalding in one 1997 episode of the same series. Frank Bonner has been married five times and divorced four times. His third wife was American playwright, theatre director and and actor Lillian Garrett-Groag, to whom he was married from 1977 to 1980. His current wife is Gayle Hardage, whom he wed in 2006. * WKRP in Cincinnati earned 10 Emmy Award nominations, including three for Outstanding Comedy Series. * Loni Anderson recently appeared on the MeTV network to promote the WKRP in Cincinnati television series and other classic TV shows. thanks joanne i truly did enjoy this article about my favorite tv show back then too god bless them all too great acting and chemistry is the key too if they didn't have the actors to do their jobs there wouldn't be a wkrp show to produce and show on tv thanks joanne u rock girl and so does the cast and crew and everyone on wkrp meow and bark amen! love u gary and the gang amen! from anne-marie m. gething a longtime tvbanter reader and supporter amen! I also found this very interesting since I was a huge fan of this show. I haven't seen it since it was cancelled until tonight in Sept 2018. I found it very cool to read the biographies if each of the cast. Thank you for bringing back to me memories of a much better time in this country when this nation wantwa so divided and full of hatred. Happy 92nd Birthday, Cloris Leachman!